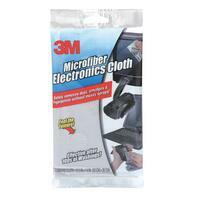 Lens cleaning cloth provides lint free, scratch free cleaning without chemical sprays. Easily removes oily, filmy residues, including fingerprints. Ideal for cleaning computer monitors, eyeglasses, reading glasses, sunglasses, cameras, binoculars and telescopes. Lens cleaning cloth is machine washable and dryer safe.